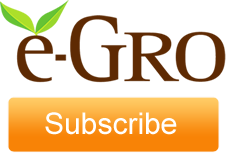 e-GRO (Electronic Grower Resources Online) is a collaborative effort of floriculture specialists to create a new clearing house for alerts about disease, insect, environmental, physiological and nutritional disorders being observed in commercial greenhouses. Information is available about disorders, podcasts, and research. Bringing together some of the leading specialists from universities around the USA, e-GRO is a free resource and learning tool for anybody involved in greenhouse plant production. The American Society for Horticultural Science awarded e-GRO their "Top Extension Website" for 2013. Five tips on how to communicate with the team about watering.